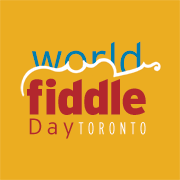 HI all: World Fiddle Day, Small World Music and Polyphonic Ground are uniting to present, for the first time in Toronto, Anne’s play about the Indigenous fiddle tradition in Manitoba. Storytelling and fiddling combined, what could be better? The show was called “The Best of 2015” but Hamilton Arts paper, The View. 3 shows only in an intimate, 60 seat venue, so please spread the word and book early. We’d love to see you there. Through one woman’s eyes, Spirit of the Narrows is a story about a uniquely Canadian music and the people who created It. The music is like no other, embodying Indigenous, French, English, American and Eastern European traditions, all played on a small box with four strings. Spirit of the Narrows is alive with humour, insight and respect and is a tribute to the people and the music Anne came to know. Audiences come away from the show with the unique sounds of Aboriginal folk fiddling ringing in their ears, along with a new understanding of life on the Canadian prairies in the 20thcentury.